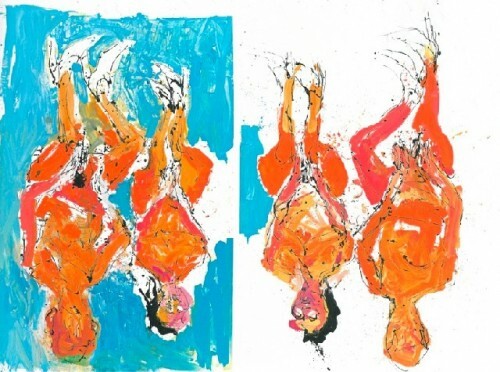 The artist Georg Baselitz is the set. Backward and Forwaed. Up and Down. Its all in the angle of vision. Fabulous Maeve Hoglund shocked by a pea. 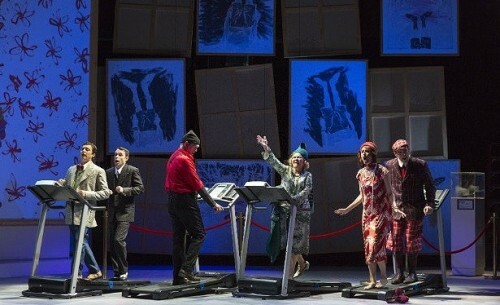 Even though the singers are stuck on treadmills, Weill and Brecht are on the move. Helen Donath, a terrific singer. Creative Artists: Georg Baselitz (Set Design), Court Watson (Co-set and Costumes), Paul Hackenmueller (Lighting), Driscoll Otto (Projections), Jon Carter (Hair and Makeup). Program and Performers: L’Enlevement d’Europe by Darius Milhaud Agenor (John Cheek), Michael Mayes ((Pergamon), Daniel Montenegro (Jupiter), Maeve Hoglund (Europa). Hin und Zuruck by Paul Hindemith Matthew Tuell (Robert), Maeve Hoglund (Helene) Michael Mayes (Professor) John Cheek (Ambulance Driver) Daniel Montenegro (Wise Man) Jessica Ann Best (Aunt Emma) Rachelle Pike (Maid). By one means or another Gotham Chamber Opera makes you sit at attention when they produce opera. While their concepts are sometimes controversial, they always have legitimacy and consistentlyt entertain. The fall season opened with an engaging replay of four, brief, one act operas presented by Paul Hindemith entitled Baden Baden in 1927. The next day Tolstoy lost everything. The banker bailed him out and left town. Tolstoy kept losing until Turgenev arrived to clean up matters and removed Tolstoy from Baden Baden. Artists have always been attracted to the storybook town in southern Germany. In July of 1927, as part of a festival in Baden Baden, Paul Hindemith presented a delightful small opera of his own, a palindrome. He also commissioned three avant-garde composers from Germany, Austria and France to contribute. These four operas, by Hindemith, Milhaud, Toch and Weill, comprise the Gotham evening. 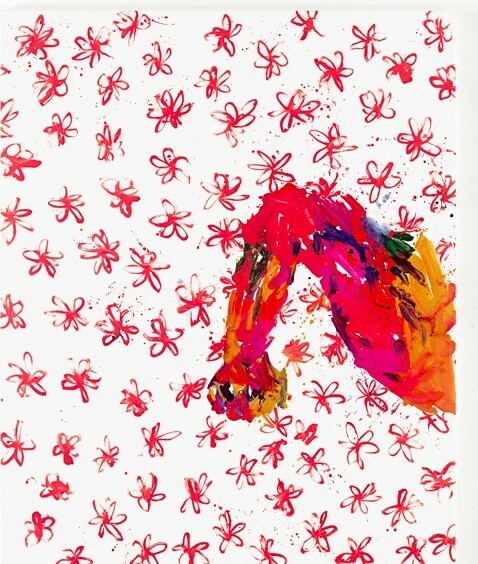 In this production, Paul Curran imagines that we are at the Gagosian Gallery looking at the work of Georg Baselitz, who often turned the world upside down to get a better look at an object, human or manufactured. He asks, as do the operas, "What after all is art?" Hindemith ran his mini-opera forward from jealousy, to murder, to suicide and then reversed the motion, from suicide, to murder, to jealousy. Toch created a Minotaur from the union of a human and a bull. Milhaud joked about determining genetics by measuring human sensitivity to peas, and Weill, in his first collaboration with Brecht, began to form Mahagonny and the collapse of civilization into a greedy black hole. The Weill, considered by some the most important of the four pieces because it is ‘notes for Mahagonny,’ also seemed the least like a small opera. Instead it played like a review. The singers, who performed various roles throughout the evening, were wonderful. Helen Donath is a special treat. Her lustrous soprano was packed into an intensely dramatic and often humorous performance. Set in a gym with treadmills, the endless march to nowhere could be felt. Milhaud had an impish streak, and it is evident in this short L’Enlevement presented first in the program. Both Michael Mayes and Daniel Montenegro were appealing as the countervailing male forces sung in a dark baritone and bright tenor. Bass John Cheek, a familiar performer at the Metropolitan Opera, ranged through the evening magisterially. The Princess and the Pea was Ernst Toch’s enchanting contribution to the evening. The familiar pea test of a princess’s genetic line was made fun of by Donath as Queen, joined by her King Cheek and their son Daniel Montenegro. The audience would have nominated Maeve Hoglund as Princess whether or not she passed the test. She is a delightful performer whose lush voice has a huge range. Gotham celebrates her, and surely she deserves a wide audience. 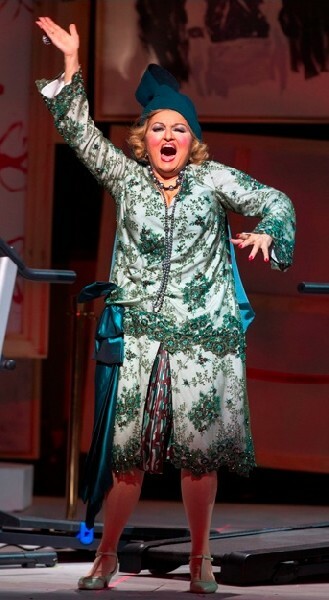 Jennifer Rivera sang the conniving maid in a spot-on mezzo. The analogy to reality TV was not perfectly matched but was fun and apt. Particularly amusing was a cameraman who could not resist joining the action (ala Robert Capa and Ingrid Bergman?). Hindemith’s romp through time is delicious. Looking to all the world like a silent movie with live performers providing the track, Hindemith reverses the opera musically and dramatically at the suggestion of a Wise Man, an Andy Warhol wannabe. The score is a finely wrought miniature. Goren conducted the mini scores with vigor and point. 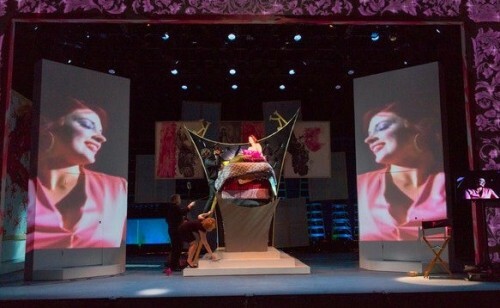 The one weak idea was the performers' engagement of the audience to bridge the pieces. Somehow wandering around talking background and foreground plays better in the boonies. In 1927, the same year these four operas were produced, the German foreign minister Gustav Stresemann, who had fought to have German reparations reduced to manageable payments, and also to make sure foreign troops evacuated the Ruhr, won the Nobel Peace Prize. Things might have gone differently in Germany if events like these had dominated the country. Germany's important place in cultural history was made clear in this special opera evening.